Our workload is often varied as was the case with this project. Working alongside a Structural Engineer we were instructed to determine the structural suitability of an existing mezzanine floor to support a proposed change of use. 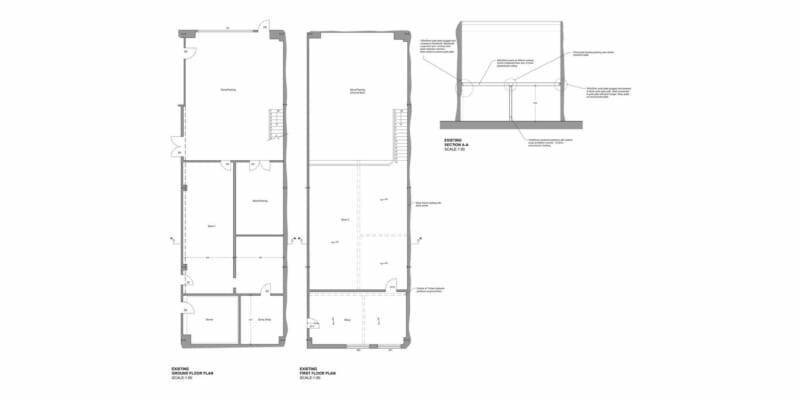 We firstly carried out a measured survey which included opening up to expose the existing structure, following by the preparation of a drawing as existing and liaison with a Structural Engineer to agree the proposed structural upgrade.